Because your life is shown in your palms, along with you character , readings can be incredibly swift, if necessary, for example at large parties and functions, where Sue can work through a crowd,giving accurate past and character readings and give great insight for the future. If you are interested in these type of bookings,please contact Sue by email or the contact me button for a quote. Sue also does regular talks at prestigious health spas, retirement villages restaurants, and companies,with demonstrations of both swift and in depth reading styles. To book a talk or event please email or press the 'Contact Me' button. Palmistry is an amazing reading, which can give you an enormous amount of information on where you are in you life, what is in the past, and has made you who you are today,and what is in the future. You will be able to tell close to exact timescales with past happenings, and have accurate timescales on future happenings. It can also give you ways to avoid situations, and advice on how to get the best out of Work, Relationships, Love and Life. Palmistry was studied as a science hundreds of years ago.at the top of ancient society, to the point where Alexander the Great was known to have used it to enabled him to pick suitable generals for his army. Today it is still used by the captains of many industries to sort out suitable staff, and give accurate insight into prospective candidates for many different careers. Sue will read first the hand that you use most prominently, as what you have made of your life, and the less used hand as what you were given in life, by reading hand shapes, mounds, lines and fingers.These hands often differ drastically, and will show the difficulties which you have had to countermand to get to your present position in life. It will also show your gifts. which runs from under the mount on the little (mercury /luna) finger towards the index finger, at the top of the palm. This line shows relationships, depth of relationships,flirtations, bindings and love ties, depending on the strength and style of the lines, grids or chains which cross or go along it. It can show who has been in your life, who is still holding on in your heart, and who is to come. which is usually just below this and runs across from the index finger towards the edge of the hand below the little finger, but which usually stops short of this. This line shows the manner of thought at different times of life,It can tell of ideas, dreams ,intelligence and where you are heading through your own efforts..
which runs from the wrist upwards around the centre of the palm. The fate line shows destiny , where you are headed, and which other opportunities are coming up for you,it offers you the chance to change your future, if you are aware of what lies ahead and what happens if you carry on on the same path. This will show illness, depression, obsession, and addiction. There is sometimes also a Simian line which is where the head and heart lines are adjoined, running in a strong line right across the hand.This shows when the head and heart vie forpower in a life, so a head rules the heart, or the heart rules the head, depending on the strengths and depths of the lines. The plain of Mars is shown in the hollow in the palm of the hand, It shows agression coming in to you and out from you, it also gives you times to avoid confrontation. Sometimes you can have a mixture of qualities, like an air palm, and fire fingers, which would mean an intensely explosive personality (Fire and Air cause intense blazes) or an Earth hand and Fire fingers , which would make an intelligent, but immovable or inflexible personality (Earth and fire make brick) but many people will fall into just one category, as below. Is square palmed, with a fairly flat palm front,and mid length fingers. Earth hand types belong to down to earth people, who are trustworthy,and reliable, but have hidden depths.They can be controlling personalities. 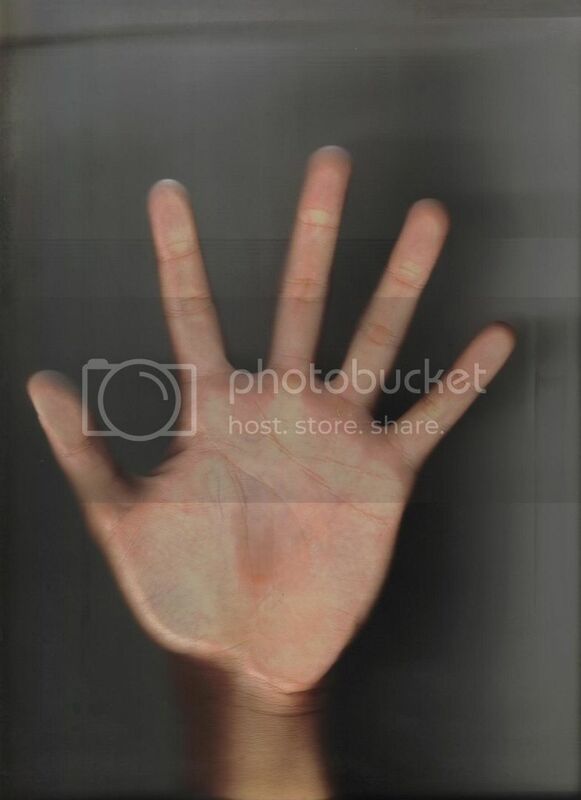 This is the hand of the intellectual , they are often over logical, and strong minded but can cause themselves to be indecisive, and lose out through over thinking situations,instead of acting swiftly. Has a squarish palm with pointed fingers : Fire handed people are quick witted, and swift to act, they also have tempers which can flare up in an instant for almost no reason,and which can disappear as quickly. They are great in situations which need swift , but not prolonged action. they can be seen as selfish, and conniving. They are very easily hurt, by criticism. or by email Why not email Sue your palm prints. The shape of the hand, the feel of the hand, the shape of the fingers and the fleshy mounts at the fingers base, as well as the lines on the hand all add up to give a fulfilling and often stunning reading. Palmistry can tell of relationships, homes, money ,power struggles, work, home and friendships; coupled with a view of your past, as well as your future, this reading is a gentle but forthright way of fortune telling. Its history began in the hands of gypsies who travelled all parts of the World, taking their craft, at which many excelled,with them. Palmistry been known for centuries in China, India, Greece, Eygpt, Italy, Poland The Ukraine, and Europe, with famous and even infamous readers being shown throughout history. There was Rasputin, who read the hand of the Queen of all the Russias, and told her the fate which he saw befalling the Russian Royal family, warning her that they would be removed from the throne and then killed. Also Cheiro, also known as Count Louis Hamon, who read the hands of many of the great and the good in across the world, famously predicting Lord Kitcheners death by drowning in his 64th year, predicting that his ship would sink. Lord Kitchener died in june 1916 when HMS Hampshire sank. He was 64 years old. You can now have an email reading of your palm. 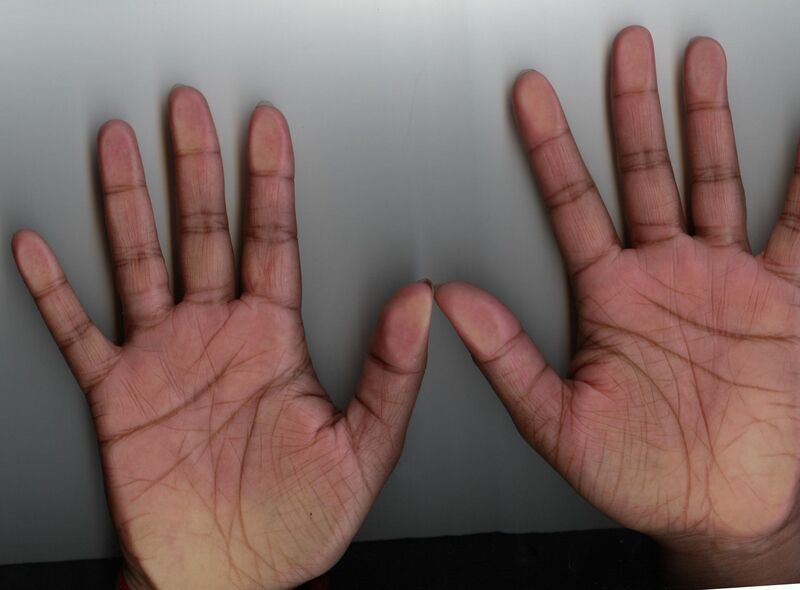 Copy your hand print on a scanner or copier, making sure that you can see the lines clearly. will be able to read your palms. Pay by paypal with this button for secure credit card payments.